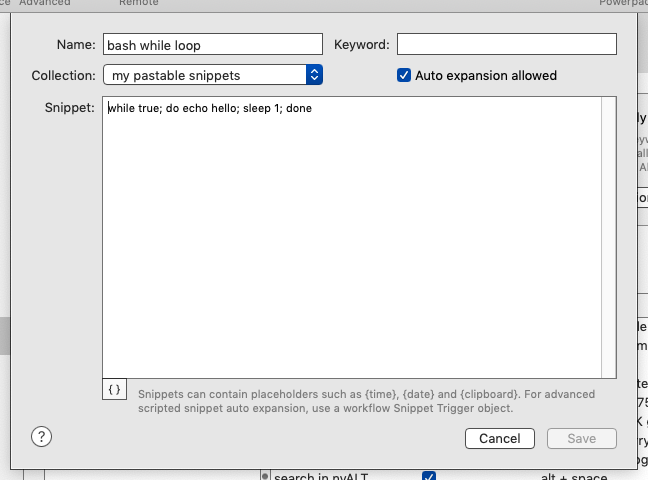 I use a lot the cmd+S to work with snippets: creating new ones and editing existing ones. However if I decide to delete that snippet I can't do that easily at all, I have to go back to the full list and search for it again etc..
to simply add a "Delete" button next to the "Save" button! It would be so awesome.